There is no one better to weigh in on this most timely of topics than Gerry Crispin, co-founder of CareerXroads and the TalentBoard and long time champion of those who demand more from their hiring experience. 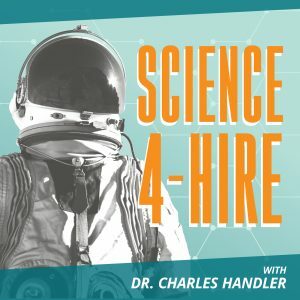 This episode provides an honest answer to the question: “Can assessments and a positive candidate experience peacefully coexist?” Gerry makes the answer simple: Candidates do not hate assessments at all. What they hate is engaging in a hiring process that seems unfair. Perceptions of fairness are driven by many things- where the assessment falls in the talent acquisition workflow, selling the value of the assessment to the candidate, and feedback from recruiters. But the #1 factor in job candidate’s positive feelings about an assessment is a clear link between the content of the assessment and the job they are applying to (aka “face validity”). The idea that candidates drop out of the process due to the length of an assessment is a myth. Candidates disengage from the process when they feel their time is being wasted by irrelevant questions delivered in what appears to be a vacuum. Beyond this revelation, Gerry provides some great ideas for those who want to make pre-hire assessments a value add to the candidate experience and delivers the good news that they can actually play a starring role. Older: AI Based Assessments: Science or Science Fiction? Newer: Game Based Assessments for hiring- What you need to know!